A federal effort to curb prescribing of painkillers may be faltering amid stiff resistance from drugmakers, industry-funded groups and even public-health officials. WASHINGTON (AP) — A bold federal effort to curb prescribing of painkillers may be faltering amid stiff resistance from drugmakers, industry-funded groups and, now, even other public health officials. The Centers for Disease Control and Prevention was on track to finalize new prescribing guidelines for opioid painkillers in January. The guidelines — though not binding — would be the strongest government effort yet to reverse the rise in deadly overdoses tied to drugs like OxyContin, Vicodin and Percocet. But this highly unusual move — the CDC rarely advises physicians on medications, a job formally assigned to the Food and Drug Administration — thrust the agency into the middle of a longstanding fight over the use of opioids, a powerful but highly addictive class of pain medications that rang up over $9 billion in sales last year, according to IMS Health. Critics complained the CDC guidelines went too far and had mostly been written behind closed doors. One group threatened to sue. Then earlier this month, officials from the FDA and other health agencies at a meeting of pain experts bashed the guidelines as “shortsighted,” relying on “low-quality evidence.” They said they planned to file a formal complaint. “This is a big win for the opioid lobby,” said Dr. Andrew Kolodny, co-founder of Physicians for Responsible Opioid Prescribing, a group working to reduce painkiller prescribing. 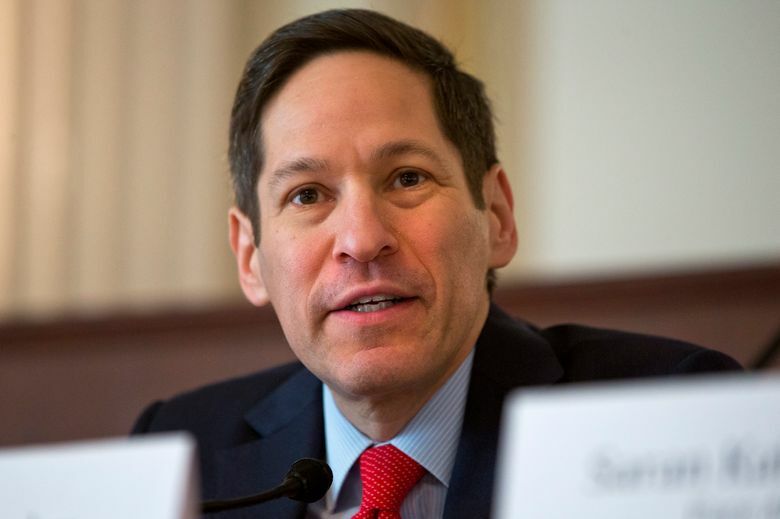 CDC Director Dr. Tom Frieden said politics did not play a role and the guidelines remain a priority. “We want to make sure we don’t go so fast that there are questions about our process, but we certainly don’t want to see any further delay,” Frieden told The Associated Press. Under the proposed guidelines, doctors would prescribe these drugs only as a last choice for chronic pain, after non-opioid pain relievers, physical therapy and other options. The CDC also wants doctors to prescribe the smallest supply of the drugs possible, usually three days or less for acute pain. And doctors would only continue prescribing the drugs if patients show significant improvement. The CDC’s logic: Reshaping how primary care doctors use painkillers would result in fewer prescriptions and, therefore, fewer deaths. By its estimation, deaths tied to these drugs have surged more than four-fold since 1999. But industry-funded groups like the U.S. Pain Foundation and the American Academy of Pain Management warn that the CDC guidelines could block patient access to medications if adopted by state health systems, insurers and hospitals. Such organizations often look to the federal government for health care policies. The CDC decision to delay its guidelines followed months of lobbying by physician and patient groups aligned with the pharmaceutical industry, who have almost always had a seat at the table in federal discussions on painkillers. As a result, they have had far more influence over federal policy than addiction activists, according to experts. Behind the CDC controversy is a decades-long debate over the use of opioids, which include medications like morphine and codeine and illegal narcotics like heroin. For most of the 20th century, doctors reserved opioids for severe, short-term pain — such as after surgery — or chronic pain from deadly diseases like cancer. But in 1990s that changed, as some specialists argued the drugs could be used safely to treat common ailments like back pain and arthritis. The message was amplified by multimillion-dollar promotional campaigns for new, long-acting drugs like OxyContin, which was promoted as less addictive. 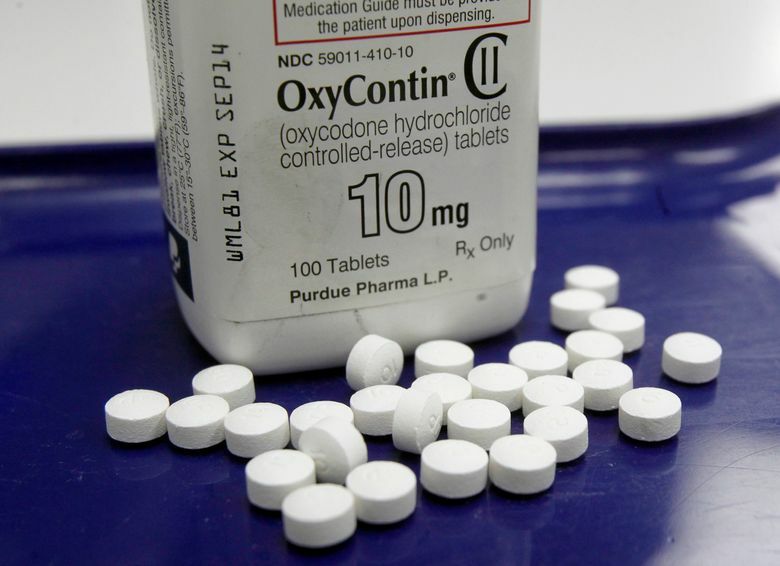 That drug’s maker, Purdue Pharma, later agreed to plead guilty and pay over $600 million in fines for misleading the public about OxyContin’s risks. But prescriptions continued to rise — along with deaths. Purdue declined to comment for this story. Deaths linked to misuse and abuse of prescription opioids climbed to 19,000 last year, the highest figure on record, according to the CDC. Heroin and opioid painkillers caused 28,650 fatal overdoses in 2014, or 61 percent of all drug-related overdose deaths. CDC’s Frieden says more Americans are “primed” for heroin use because of their exposure to painkillers. Pain care advocates say they were blindsided, though, when the CDC moved to create formal guidelines without first consulting them. “It looks to us like they had a pretty good idea of what they wanted these things to say, and they wanted to minimize feedback that was contrary to that,” said Dr. Robert Twillman of the American Academy of Pain Management, a group which represents pain physicians and receives funding from painkiller manufacturers such as Purdue and Teva Pharmaceuticals. The CDC had not publicly disclosed the panel’s membership, but Twillman and other pain advocates identified several members, including two who are leaders with Physicians for Responsible Opioid Prescribing, a group working to reduce painkiller prescribing. That group is backed by Phoenix House, a network of rehabilitation clinics. The Washington Legal Foundation — a conservative group which frequently represents pharmaceutical interests in court — says CDC is in “blatant violation of federal law” for not disclosing its advisers. The foundation wants the CDC to scrap its current guidelines and start over. Anti-addiction advocates worry that outside pressure from such groups led the CDC to re-open its guidelines for comment. “Opening a docket will tack months on to the process and increases the likelihood that the guideline might never be released,” said Kolodny, an addiction therapist. It’s a process advocates say has played out before at the FDA, which as the nation’s top drug regulator writes the prescribing labels that accompany prescription drugs. In 2009, the FDA announced it would develop “risk management” plans to ensure extended-release opioids were used safely. The agency’s initial ideas included mandatory certification for doctors who prescribe drugs like OxyContin and a national registry to track patients taking the drugs. But industry pushed back. The Pain Care Forum developed its own “consensus guidelines,” which opposed any measures creating “new barriers” to medication. At the same time, the group’s members generated a 4,000-signature petition opposing registries, saying they would stigmatize patients. Instead of the tough measures initially floated, the FDA in 2012 put in place modest changes: drugmakers would fund physician training programs, but they would be optional. Additionally, patients would receive a pharmacy pamphlet about opioid risks. “We were stunned,” Kolodny said. An FDA spokesman provided information about the development of risk plans in response to inquiries for this story. If the final CDC guidelines emerge intact, they may push physicians to reconsider alternate treatments like physical therapy, counseling or modifying patients’ routines. Experts say those methods proved effective before the rise of painkillers. “As a civilization we somehow managed to survive for 50,000 years without OxyContin and I think we will continue to survive,” agency adviser Nelson said.